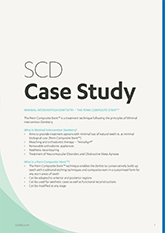 This case study details a patient who requested a fixed replacement of the missing teeth in upper right quadrant. Implants or a removable appliance options were rejected, therefore the bridge was designed for the patient. 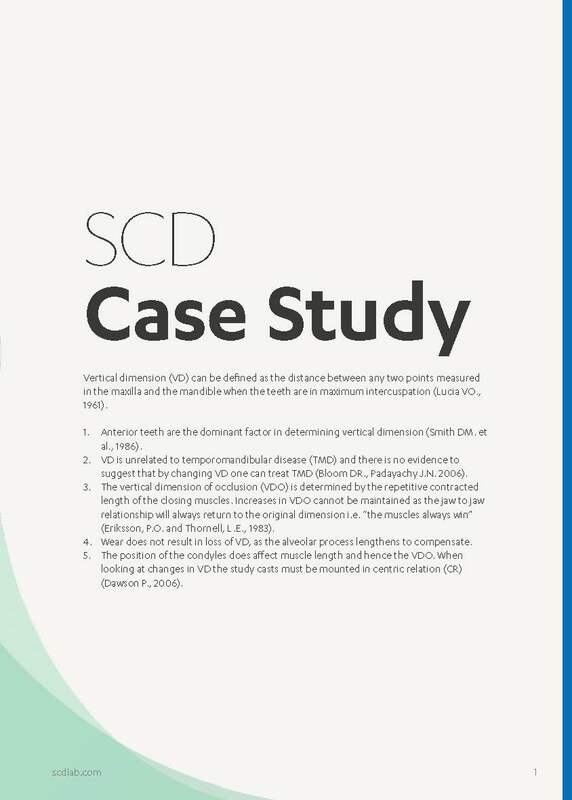 This case study features how the vertical dimension can be altered to increased visible tooth structure for a more attractive smile. The dentist used the Penn Composite Stent™ for the upper arch and Michigan splint for the lower arch to improve dental appearance. 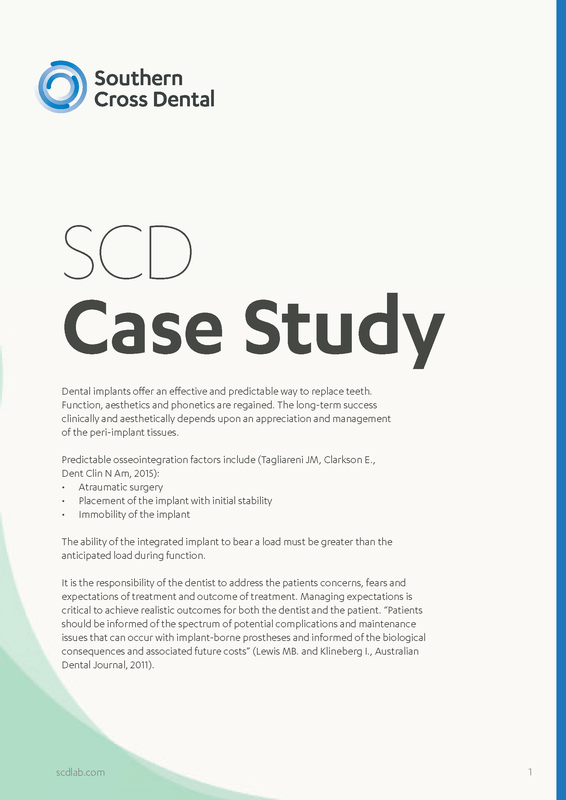 This case study features the process of working out a treatment plan for a full mouth rehab, looking at using the Penn Composite Stent™ for 8 upper teeth and 4 lower teeth. After the case presentation appointment, the patient understood the implications of both non-treatment and the proposed treatment, and elected to proceed with the treatment plan. This case study details a patient who initially presented with both upper laterals fractured at the gum line (Fig. 1). Teeth 26 and 24 were missing. Intraoral examination indicated evidence of generalised moderate to severe periodontitis. After discussing options with the patient, the patient decided on replacement of missing/unrestorable teeth with implant/crowns. 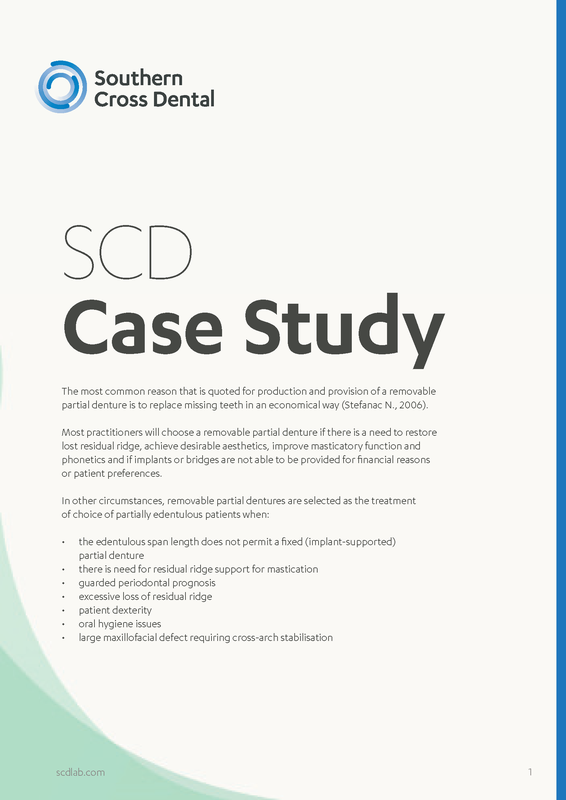 This case study details a patient whose chief complaints were of a lost filling and chipped lower front teeth (teeth 41,42), appearance of 11 and 21 not being aesthetic, and wished to have old amalgam restorations replaced. 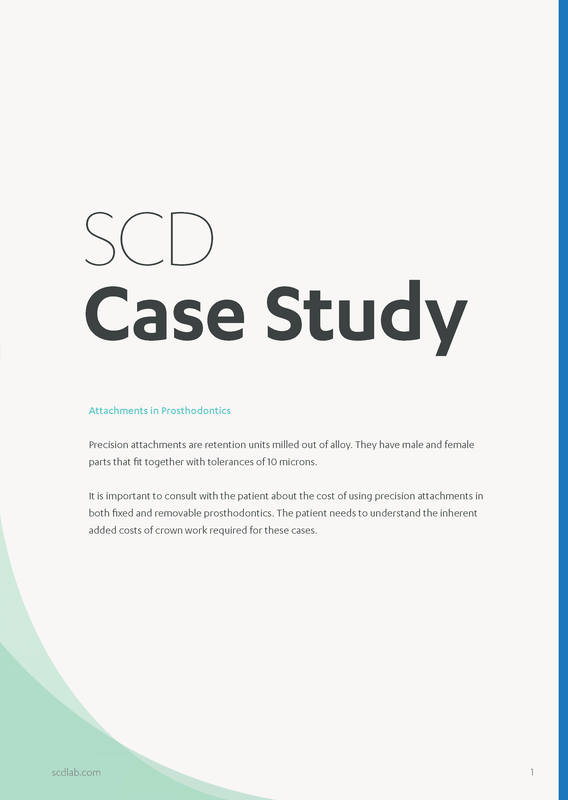 This case study details a patient who presented to the surgery with the chief complaint of a loose front tooth which was uncomfortable upon chewing and pressure. A diagnosis of internal resorption was given and it was recommended that that tooth be removed and other restorative options be assessed. 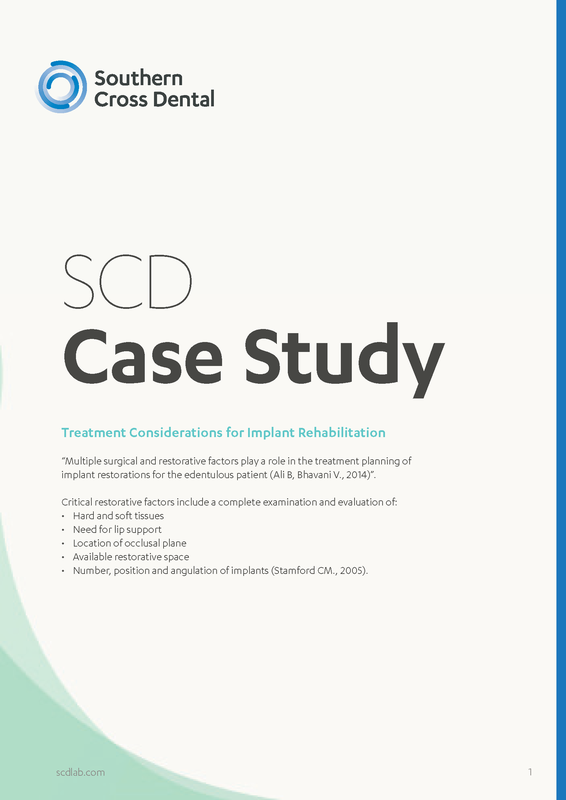 This case study details a patient who presented to the surgery after a football accident when he was knocked in the mouth. On examination there was a crack in the tooth and the patient was advised that it was unable to be saved. 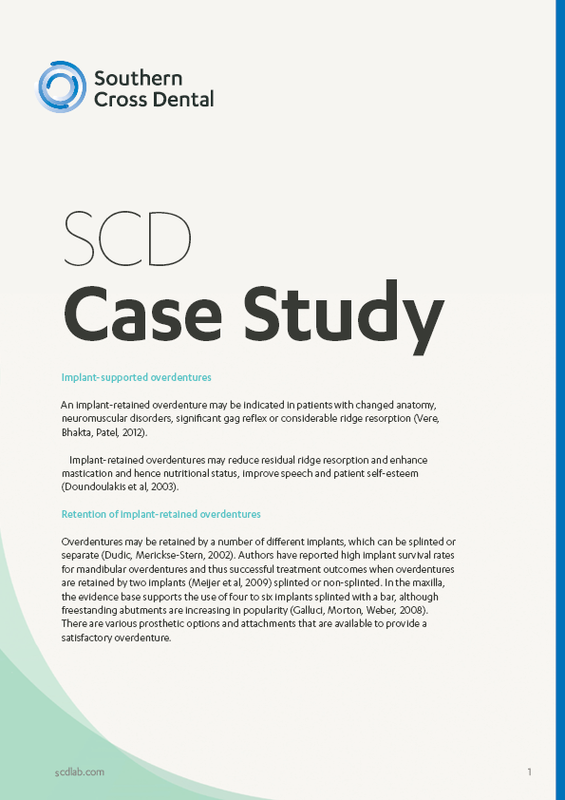 After the treatment plan discussions, the patient opted to have the implant. 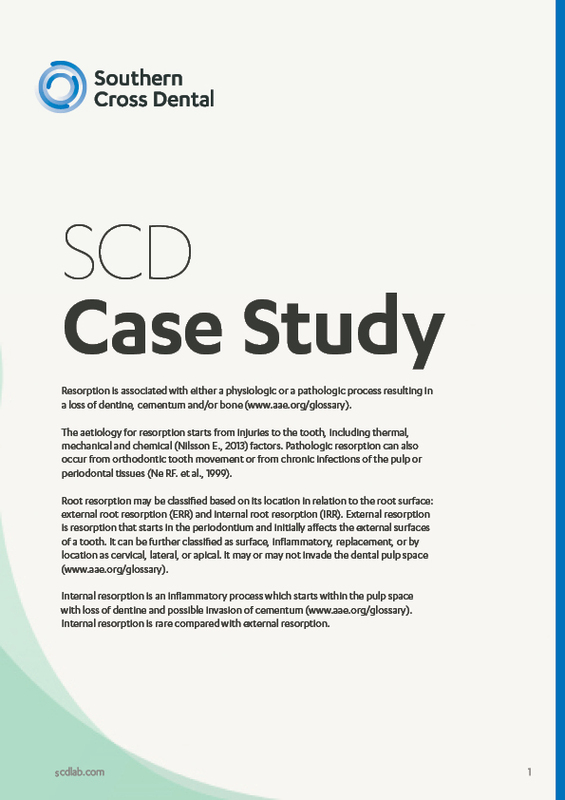 This case study details a patient who was concerned that she had been wearing the same full upper denture for 40 years. The patient expressed a desire to have the lower teeth removed and new full upper and full lower dentures constructed. The patient’s wish was not to have to go to the dentist again. 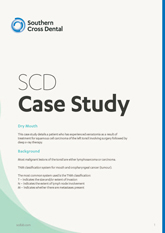 This case study details a patient who has experienced xerostomia as a result of treatment for squamous cell carcinoma of the left tonsil involving surgery followed by deep x-ray therapy. 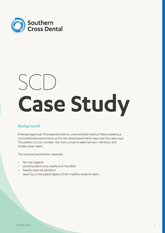 A female aged over 70 presented with an unremarkable medical history seeking a comprehensive examination as the last dental examination was over four years ago. The patient is a non-smoker. Her main concerns were her worn dentition and broken down teeth.